I needed to get the Uptime/Duration of a particular VPN tunnel this week. It was for a client with multiple VPN tunnels that was having problems with just one. 1. 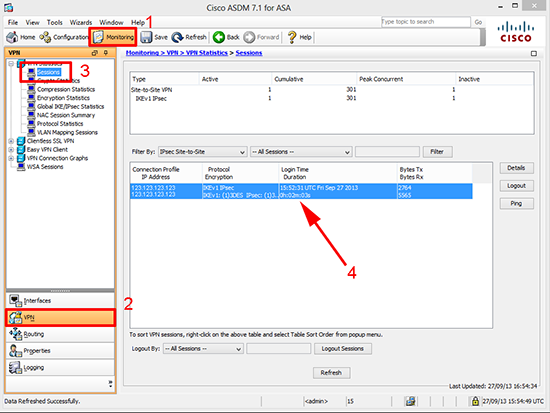 Connect to to the firewall > Go to enable mode and use the following command, replace 123.123.123.123 with the IP of your VPN endpoint. 1. 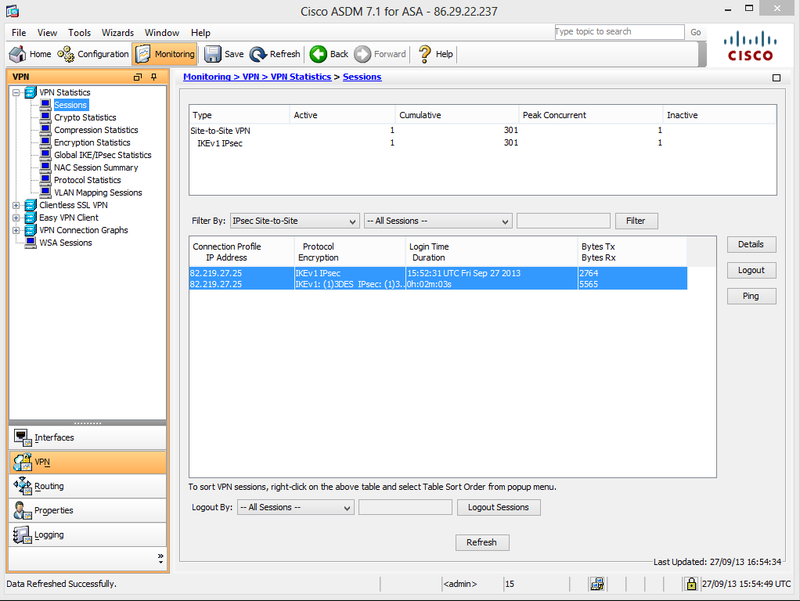 Connect to the ASDM > Monitoring > VPN > Sessions > Select the one you are interested in > Logon time Duration.